Rocket Matter, the pioneering cloud-based law practice management software, today announces Atlas 1.2, with powerful new case management functionality designed to help improve how law firms work every day. The trio of new features include document folders, role-based access and an elegantly designed printable version of their law firm calendar. 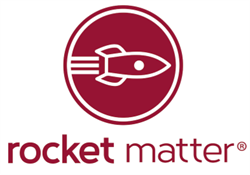 Rocket Matter continues a transformative year in which they’ve introduced a host of new features and improvements, including a complete redesign of the user-interface, Rocket Matter Payments (a powerful payment processing platform within the application), a robust new matter templates workflow, and integration with industry leader QuickBooks Online. “Our goal with this release was to improve some of our best case management functionality,” says Larry Port, Rocket Matter’s CEO and founder. “Although we’re known for having the easiest and most powerful time & billing platform on the market, attorneys need to know we’re equally committed to the case management side of our product. Rocket Matter will help them run a much better practice regardless of their specialty." DOCUMENT FOLDERS: Document Folders allow users to keep documents highly organized by nesting folders to construct their own organizational hierarchy. Attorneys can upload a single document or an entire folder in seconds and organize them by client, matter, function, important events, dates, or other criteria. Document Folders integrates with the products firms use every day, including Dropbox, Evernote, and Box. PRINTABLE CALENDARS: Rocket Matter’s newly redesigned calendar is now printable. For attorneys who prefer to print their calendar for use on the go or on their desk, the printable view shows all upcoming appointments neatly organized, at a glance. ROLE-BASED ACCESS: Attorneys and firm administrators can now customize access levels for every user in the firm by role. Role-based access helps law firm leaders manage exactly what information each person has access to. They can enable billing staff to run pre-bills and batch billing while restricting access to administrative reports. Or, allow partners to have global access to Rocket Matter with no restrictions, and limit access to outside counsel with whom the firm might be temporarily collaborating. The company drew inspiration for this new release directly from their attorney client feedback. Rocket Matter regularly uses this feedback to help shape their product and improve overall user experience. For more information on Rocket Matter Atlas 1.2, check out: bit.ly/RMAtlas. Rocket Matter, LLC (URL: http://www.rocketmatter.com) helps law firms grow profits and serve clients through legal software, exceptional customer service, and educational content. The company’s flagship product, Rocket Matter®, was the first legal practice management system in the cloud. Its time and billing platform is widely considered the easiest to use and most powerful in the legal software sector. The system helps law firms organize their matters and increase their billing efficiency. Launched in February 2008, Rocket Matter’s corporate headquarters is in Boca Raton, FL.